Located at Canyons Ski Resort, this two bedroom ski-in / ski-out resort style condo allows for room to sleep eight guests. 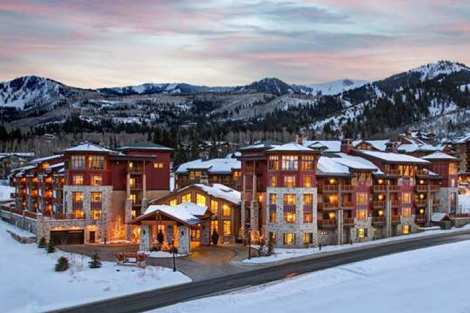 Walk to the main resort village and enjoy access to dining, shopping and a lively après scene in the winter, and exciting concerts and festivals in the summer. The décor is luxurious and offers over stuffed leather sofas to sink in to in from of the fireplace along with custom artwork throughout. A common area pool, fitness center and hot tub are available and perfect for day-end relaxation. Enjoy a view of the slopes from your private deck is perfect for taking in the serene mountain views that surround you. An in-house shuttle service stands ready to whisk you away to any Park City location, and nothing is too far from this premium location.